Demand Controlled Ventilation (DCV) is a highly efficient means of automatically providing excellent indoor air quality by adjusting the rate of air exchange, minute by minute, room by room, based on actual need. 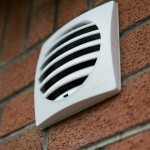 Avoid the non-controlled entry of humidity and heat. Ensure a hygienic comfort, in terms of CO2 and other contaminants generated by the activity within the building. Eliminates excessive moisture. Excessive moisture carries pollutants like carbon dioxide and VOCs (Volatile Organic Compounds) which are a health hazard and a potential cost implication if the fabric of a building becomes damaged. 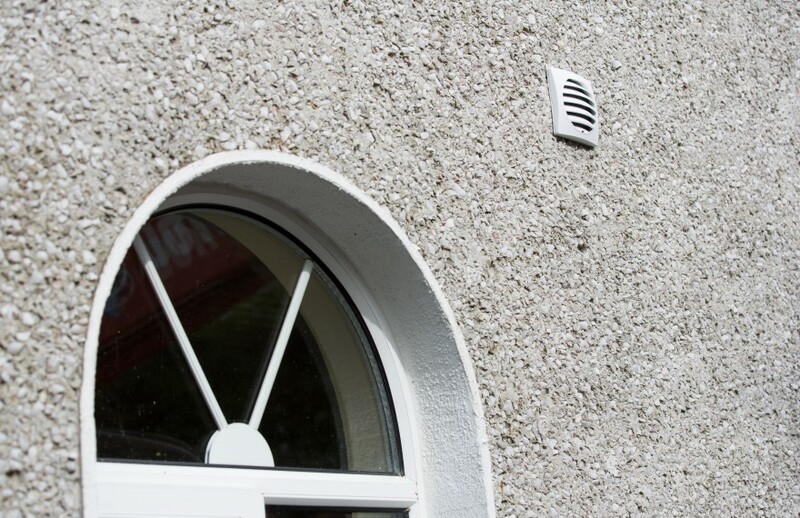 Compatible with most ventilation designs whether the work is on a new build or a retrofit project, we have a workable ventilation solution to fit. 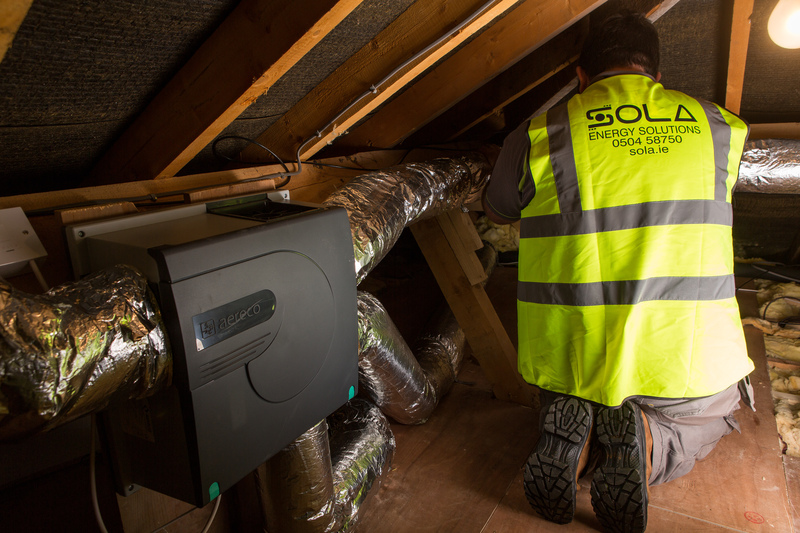 Our smart, reduced energy ventilation systems have been shown to reduce ventilation-linked heat losses by up to 50% compared to a constant airflow ventilation system, as well as delivering clean, fresh air and reducing damage to the building interior caused by condensation and dampness. 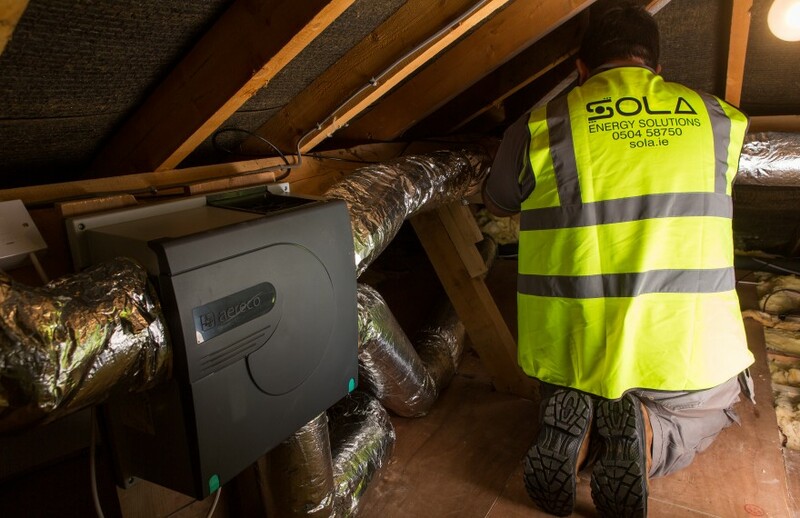 Comfort assured Combining simplicity and performance, our systems detect and reduce moisture levels depending on room occupancy levels, securing good indoor air quality. 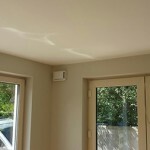 No mould or condensation appear in wet and habitable rooms. 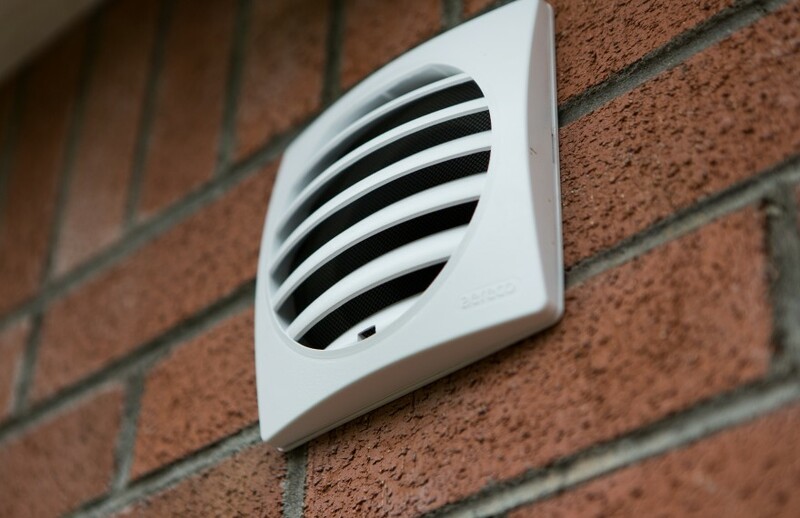 Our ventilation solutions automatically adjust the airflow to the humidity rate present to ventilate the room and eliminate excess humidity. 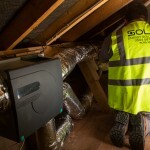 Lower lifetime costs low capital costs, low installation costs, no maintenance, low energy usage. It’s little wonder our systems are increasingly recommended and installed in private homes and public buildings. 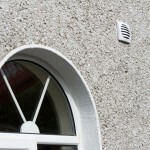 Simple installation new build or refurbishment, installation of our ventilation systems is hassle-free and cost-efficient. 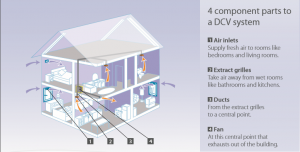 DCV units provide – fresh, external, filtered, conditioned and de-humidified air into the building. 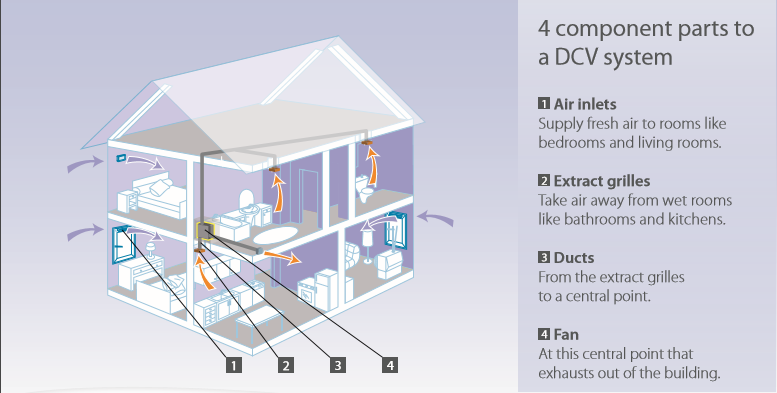 Demand control ventilation allows the ventilation rate to be controlled. 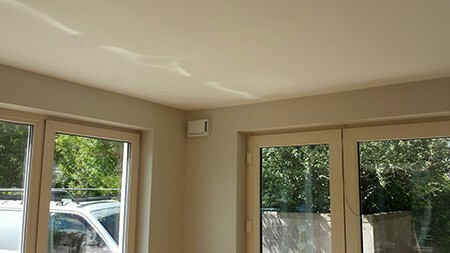 It may be provided by the simple addition of extract fans to an otherwise natural ventilation system, particularly extract vents to supplement stack effect.